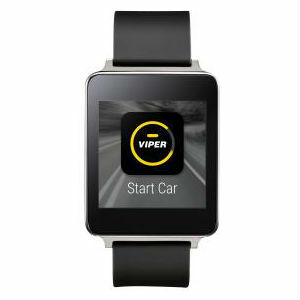 Coming a few days after Hyundai's announcement, Viper has shared its plan to bring remote start and other functionality to both Android Wear and the Apple Watch. This means that anyone willing to have the technology installed can take advantage of the feature, rather than wait around for their manufacturer to jump on board. The goods are coming as part of Viper SmartStart 4.0. Viper is known for providing car alarms and remote start systems, which you can get from auto shops or your local Best Buy. It already lets users start, lock, unlock, and track their cars through a mobile app available in the Play Store, but soon people with Android Wear watches will be able to perform the same tasks from their wrists. As with anything car-related, integrating Viper with your vehicle doesn't come cheap. But for folks who already have the SmartStart system in place, it might just be time to pick up a smartwatch.